A metal bedspread hanger, 22". 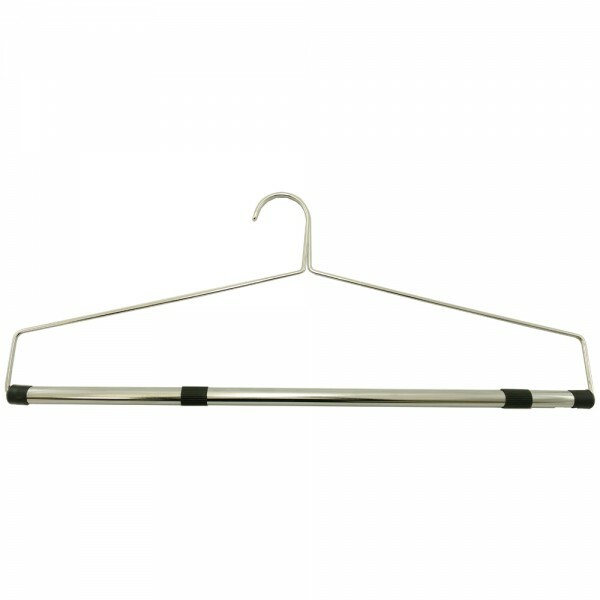 A metal bedspread hanger. Large, at 22", these sturdy hangers will hold large sheets and bedspreads with plastic grips to maximize grip strength.